In 2002 “Spider-Man” burst onto the movie screen and brought superhero movies to mainstream audiences in a way that had never been done before. With huge box office results and critical acclaim, for the first time since Tim Burton directed “Batman” had a comic book movie been so successful. That was ten years ago. Since then we've gotten so many superhero movies that some people have called them modern day Greek mythology stories. Now that we've gotten a re-telling of Spider-Man's origin story in “The Amazing Spider-Man” I have to wonder if that now makes superheroes like classic literature. I mean, think about it: how many versions of “Hamlet” have you seen? Never mind. Most of you likely won't be pondering this as you sit down in a dark movie theater to watch “The Amazing Spider-Man.” For many of you it will simply be a new superhero movie (and the first in 3D for this franchise) to go see. I admit, as much as I loved “The Avengers” for its goofy action sequences and non-stop fun, it's nice to see a superhero movie that can be taken seriously on a truly thoughtful level again. 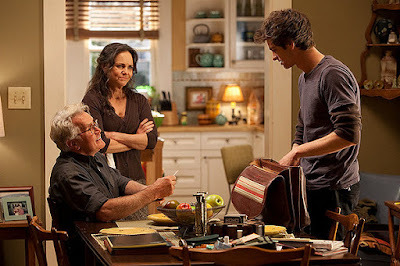 For those who saw Sam Raimi's take on the character in 2002 you won't be too surprised at the storyline, which largely recounts Peter Parker's (Andrew Garfield) coming to grips with his super powers and dealing with the death of his Uncle Ben (Martin Sheen), what he could have prevented if he wanted to. That we're going through this again is frustrating, but understanding since the studio wants to create a new series of Spider-Man movies. What is new here is a new love interest named Gwen Stacy (Emma Thompson), who is a long way from the red haired Mary Jane. Gwen is a smart scientist who has an eye for smart boys with a heart of gold. If you've had complaints that most of the love interests in these types of movies have little reason to exist outside of being saved, then you're going to love Gwen Stacy's resources that aid Spider-Man in some of the very intense battles in this film. And who is Spider-Man facing in this film? Well, it's a scientist named Dr. Curt Connors (Rhys Ifans), whose medical experiments cause him to transform into The Lizard, a creator who comes close to coming off as fake, but honestly it's hard to tell with the action moving so fast. The best new character in this film is probably Captain George Stacy, played with shocking conviction by comedian Dennis Leary, who gives this minor character some real depth. Captain Stacy is out to arrest both Spider-Man and The Lizard, but he is a smart, cautious man. He takes in the situation as he best sees fit, and isn't too proud to change tactics when he realizes he's made a mistake. Despite the trouble he causes our hero we can't hate him because we empathize with him. If there is one truly credible reason to reboot the series so soon it would be the visual effects. Not only does Spider-Man move with much more realistic fluidity in this film, but the natural use of 3D gives you one of the rare “out-of-body experiences” that only the biggest screen can provide. 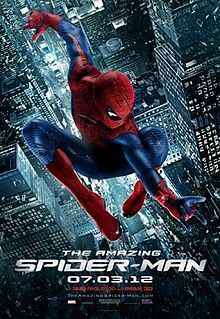 The IMAX 3D version offers a visual experience on par with “Avatar” and “How to Train Your Dragon.” The fact that it can present material we've already seen a mere ten years ago and make it seem fresh makes “The Amazing Spider-Man” all the more impressive. Why, it even works as a classic love story at times to boot! 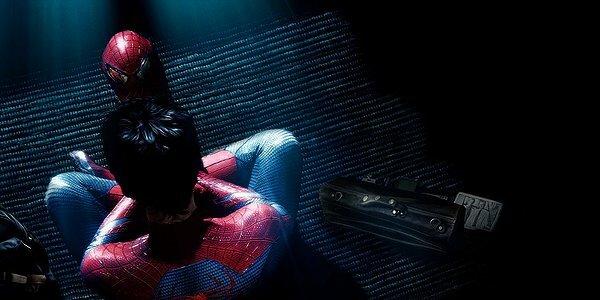 If you decide you want to see your favorite web slinger on the big screen again, “The Amazing Spider-Man” is a worthy remake. See it on the biggest screen you can. Parents, there is a lot of bloodless violence and minor language. No sexual content. Recommended for ages 13 and up.